Stamford Passport - Where to Apply for a Passport in Stamford, Ct. There are three passport application acceptance facilities in Stamford. 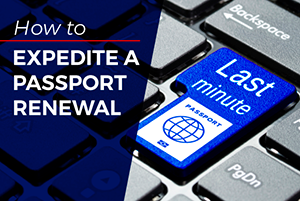 Applicants who must obtain new passports quickly can submit their applications and supporting documents at the regional agency or through a qualified expediting service. Below is a list of locations where you can submit a passport application if you live in or near Stamford, Connecticut. Many passport offices require an apointment so you should call before visiting. In the case of post office locations, you may schedule an appointment online. For emergency expediting services, visit Fastport Passport - Online Passport Service. It is only necessary to submit application Form DS-11 at a passport application acceptance facility. You can apply for other passport services by mail. At the acceptance facility, an agent will verify your documents, administer an oath and witness the signing of the form. 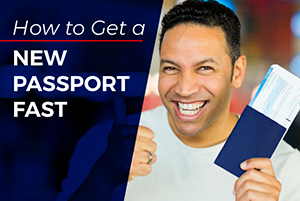 For a list of locations to apply in cities other than Stamford, visit the Connecticut passport office page. You can submit the application for a passport at the regional processing center if you have urgent travel plans. 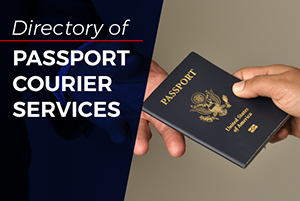 If you are unable to travel from Stamford to the regional agency, you can have a registered expediting service submit the application for expedited passport service.